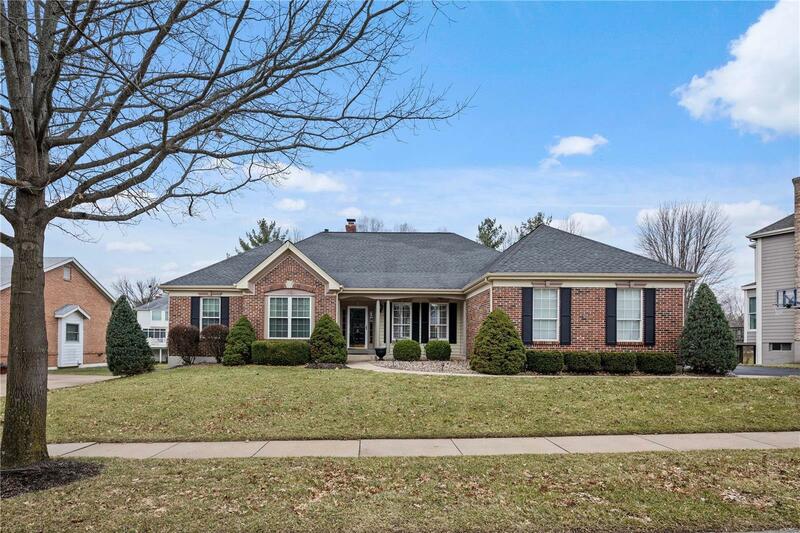 Elegant, Classy, Comfortable, Updated, Clean and pristine describes this immaculate 4+ bedroom executive Ranch Home in the ever- so-desirable Family friendly neighborhood of Somerset. No detail overlooked. Gleaming Wood floors and extensive moldings throughout! Open bright and light Great Room featuring floor to ceiling brick Gas Fireplace, Wall of windows with designer plantation shutters flows nicely into a Cooks Dream Kitchen with Stainless Appliances, Custom Cabinets, Designer backslash, Granite Counters, Planning Desk, walk-in pantry Serving Bar that is perfect for entertaining. Step out onto spacious deck that overlooks level and beautifully landscaped back yard. Glamorous Master Suite with stunning Master Bath and Huge Organized Master Closet. Large Secondary Bedrooms too. Pro fin Lower Level with walk up wet bar, rec room, Office/bedroom, Exercise/Game room and Craft Room. The Owners have done a masterful job updating this home! Award Winning Rockwood Schools. Awesome Home!